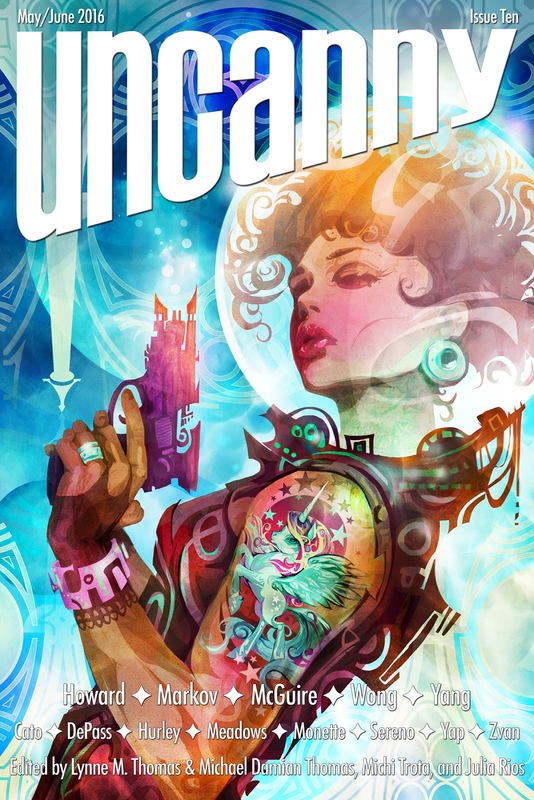 "The Drowning Line," by Haralambi Markov, appeared in the May/June 2016 issue of Uncanny Magazine (Issue 10), published May 3, 2016. Pro: The way Reinhart's family try to hard to be understanding makes the whole thing feel much more real. At the conclusion, we believe that David has ended the curse by sacrificing his own life. Blood is a strong motif in the story, so it's not a complete surprise that David uses his own blood to tie the noose. Con: There's no prior clue to suggest that David's trick will actually work, and we don't see why he thinks it will.